LONDON -- Ford Motor plans to cut hundreds of white collar jobs in Europe as it seeks to lift its weak profitability in the region. The automaker aims to find annual administrative savings of $200 million in the region, Ford said in a statement today. Ford's administrative staff in Europe will be offered voluntary layoffs to reduce the company’s 10,330 salaried headcount, Ford of Europe President Jim Farley told Automotive News Europe in a telephone interview. Ford did not give a figure of how many jobs will go. Based on previous layoff programs, Farley expects the number of staff taking up the offer to be in the "hundreds." After losing $3.1 billion in Europe from 2012 through 2014, Ford had a pretax profit of $259 million in the region last year. Its pretax operating margin was 0.9 percent. Ford said it is targeting a higher profit and operating margin this year and a 6 percent to 8 percent operating margin in the longer term. 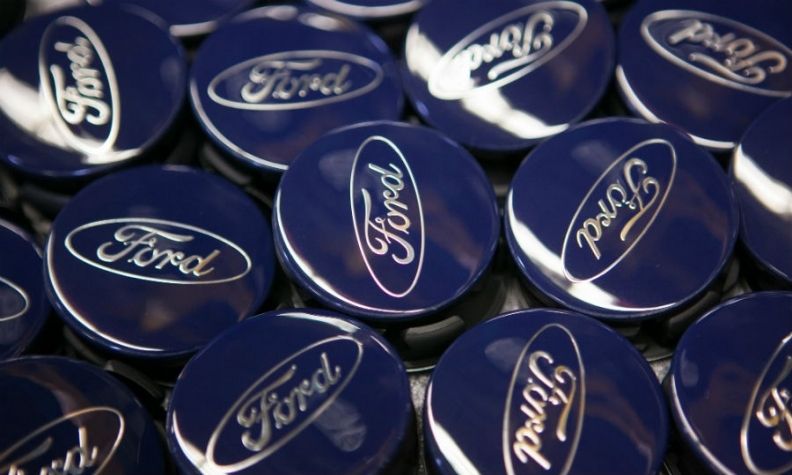 Ford also said it plans to reduce its European manufacturing costs by 7 percent. The savings will come from "pretty much everywhere" Farley said, without giving a figure. Farley said increased automation was a possibility the company is considering to reduce manufacturing costs. "Automation isn’t always a positive return, but certainly in many cases it can improve our efficiency,” he said. Logistics was another area in which Ford could make savings within manufacturing, he said. He said Ford was consulting with unions to make savings in labor costs. Ford has closed three plants in Europe since 2013. "We are absolutely committed to taking the necessary actions to create a vibrant business that’s solidly profitable in both good times and down cycles," Farley said. Ford will also make other cost reductions in selling, general and administrative expenses, including using agencies for work currently done by staff, Farley said. "We are not wholly dependent on the staff cost reductions to achieve the $200 million," he said. Ford forecasts that industry sales will reach 16 million in its core 20 European markets this year, boosted by strong growth in Spain and Italy. Farley predicted Russia will have another year of depressed sales with industrywide sales of 1.59 million forecast, slightly down on 2015’s figure of 1.6 million. Last year Ford sold 38,607 in the country, down 51 percent from 2014’s figures. Ford forecasts it will sell over 200,000 SUVs in Europe for the first time this year. The company will add the Edge large SUV to its European lineup in spring. The company said it would launch seven new or refreshed vehicles this year, including variants such as the Focus RS compact performance hatchback. The company predicts it will sell 40,000 performance cars this year, including the Mustang and ST variants of the Focus and Fiesta subcompact. Ford also said it would expand its upscale Vignale lineup to at least five by 2017. Currently Ford sells a Vignale variant of the Mondeo midsize model and will soon add an S-Max minivan with the trim. Farley said the underperforming plant in Craiova, Romania, which builds the slow-selling B-Max subcompact minivan, is still a "very critical part" of the company's operations. "We will continue to look at opportunities for Romania," he said.